India has a large variety of dessert recipes. 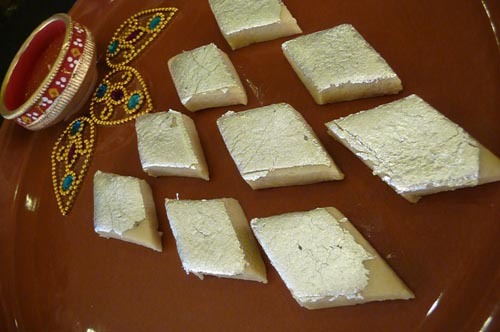 The most popular ones include Kaju Katli (Cashew Burfi as shown in the picture above), Gulab Jamun, Peda, Kheer, Ras Malai, Halwa, Mango Ice Cream, Kulfi and Falooda. Each dessert recipe has it's own unique taste, flavor and texture with influences from the different regions of India. In India, desserts are a staple of all religious festivals such as Diwali, Ramadan and Christmas. Watch our step-by-step dessert recipe videos and make them yourself.